Beverly Walker spoke on behalf of the Romany and Traveller Family History Society which is for people with Gypsy, Roma and Traveller and fairground roots. She drew examples from history of the lives of British Gypsy women. All Romani and Traveller women were inevitably strong as a result of the hard life they led, caring for children and livestock with little protection from the elements, persecution and criminalisation. The Norwood Gypsies lived in the area now known as Gypsy Hill. 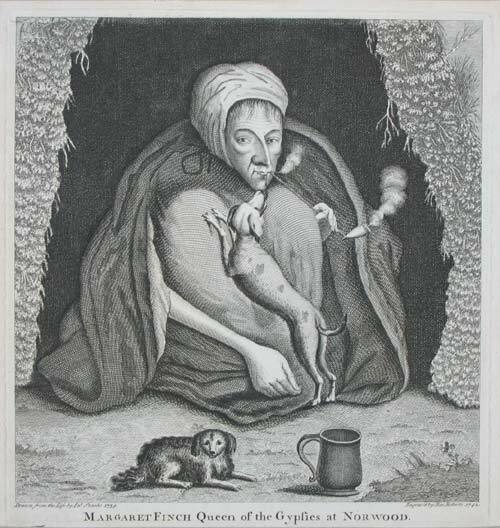 Margaret Finch [d.1740] was a woman “the oddness of her figure and ye fame of her fortune-telling drew a vast concourse of spectators from ye highest rank of quality, even to those of ye lower class of life”. She lived in a conical hut built of branches, at the base of an ancient tree, and it was there that great numbers of people visited her. Local publicans welcomed the trade she brought and paid for her funeral; it was said they couldn’t lay her straight in her coffin due to the curvature of her spine. Sarah Skemp (who also had mobility problems) took over her fortune-telling role. Pepys 1668 had his fortune told and there is documentation of women who committed crimes. Elisabeth Boswell, a gypsy, who was born at Sutton (then in Berkshire) in about 1755, was the only person known to have escaped from the Oxford Castle prison on two separate occasions. In May 1775, when she was imprisoned pending transportation for stealing from a shop in Beckley. She made her first escape by squeezing through a window measuring only 17 by 12 inches, in October 1776, not long after she recovered from smallpox caught in the prison. Boswell was accompanied by one Rebecca Hall was “big with child” at the time. Both women were back inside the Castle by February 1777 but a year later Boswell and two highwaymen, Robert Thacker and John Jones, “forced their way through the side of [St George’s] tower upon a level with the high wall on the west side of the Felon’s Yard, from thence by the help of the sheets from their beds, they let themselves down, over the iron spikes, into a garden adjoining the Castle Ditch, and got clear off”. Charlotte Cooper (nee Lee) painted in 1830 by Charles Leslie RA. Gypsy women were also popular subjects of other Victorian painters such as Benjamin Robert Haydon and Alfred Munnings. Some Gypsy girls became successful through education. George Crabbe established a school in Farnham Dorset for Gypsy children (12 boys and 12 girls) which ran for 8 years. Hoyland tells of Trinity Cooper and her brother who were admitted in 1811 to a Sunday school for poor children due to her persistence. She married John Stephens who mistreated her but she would not give evidence against him. However, she went on to build up and successfully manage his business. Phoebe Matthews in 1932 passed the 11+ exam. The RTHS has just published a biography of Dorset’s Catherine Grey, who was born the daughter of a gypsy and became a countess. 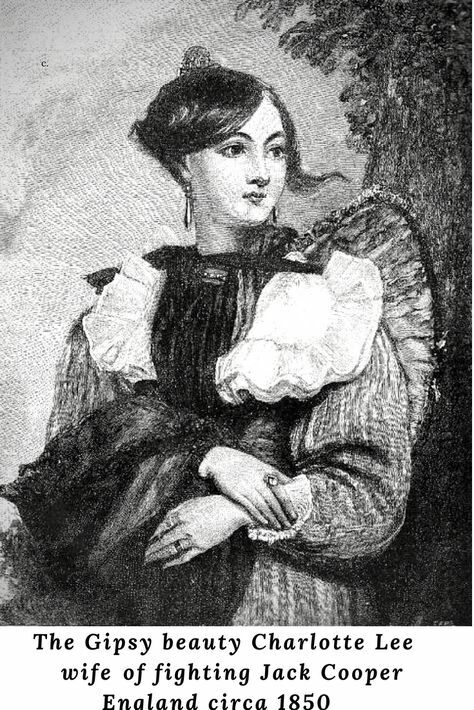 The Gypsy Countess by Anne-Marie Ford, tells how Catherine was born as the daughter of a gypsy, Jemima Fletcher, and an agricultural labourer, Henry Cox, in 1826, in Sturminster Marshall, near Blandford. She was fortunate in being educated at a local charity school until she was 15, an exceptional opportunity for a girl from an impoverished background during the first half of the nineteenth century. It was to be merely the beginning. At the age of 20, Catherine, she and her sisters went to London, obtaining a job at a riding school off Oxford Street, run by the famous jockey, Jem Mason. Here she learnt the skills of handling horses and performing tricks, before finding herself employment as an equestrienne, together with her sisters Susan and Mary, at the renowned Astley’s Amphitheatre, frequented by the aristocracy. The sisters performed as Kitty, Sukey and Polly Fleming, and moved amongst the social elite of the day. Catherine arranged for lessons for herself, her sisters, and her niece, in reading, writing, French, music and drawing, in order to prepare all of them for advantageous marriages; it was a plan that was to be something of a success. Catherine would eventually marry one of the richest young men in England, George Harry Grey, the Earl of Stamford and Warrington and became the Countess of Stamford and Warrington. Liza Mortimer presented a short film about her family. “Take us as we are” intercutting archive footage with contemporary. She had access to the hour-long documentary in 1969 made by Charles Parker for the BBC. She contrasted how in the earlier film they were observed and dehumanised. As a film maker Liza’s approach is to tell her own families story.